Being a part of Bibliophile’s Workshop’s many different blog tours,“ will give you the opportunity to read various novels, spanning many genres and writing styles, along with helping share new, promising titles with readers all across the internet. 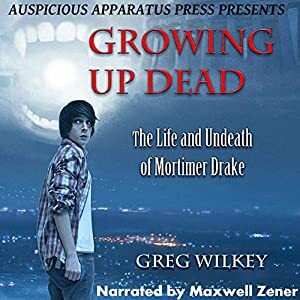 SPECIAL BLOG TOUR GIVEAWAY: There’s a chance to win one of three complimentary digital downloads of the Audible.com Audiobook edition of Greg Wilkey’s Growing Up Dead. Keep your eyes peeled for two cover images of the sequels in Greg Wilkey’s Mortimer Drake series below that both carry links to a special Rafflecopter Widget, from where you must complete different tasks in order to earn entries, to increase the chances of possibly winning an audiobook. All winners are chosen randomly, so your cumulative number of entries does not automatically qualify you as a selected winner. It only increases the probability that you may be one of the chosen winners. Fortunately, the contest is open to everyone, worldwide, since we are giving away digital editions of the audiobook, not physical CD or cassette copies as those do not exist. The contest ends at Midnight, May 2nd 2015, and the three winners will be promptly informed via email, bearing the very exciting news that they are one of the lucky winners of this dramatic audio-recording from Auspicious Apparatus Press of the first book in Greg Wilkey’s four book Mortimer Drake series. Click either the two cover photos of the two sequels to Growing Up Dead, to access the Rafflecopter Widget, allowing you to enter for your chance to win the Growing Up Dead audiobook!! 1) BR: Was having an audiobook adaptation, something you’ve considered having done for your books? GW: I had always wanted to have an audiobook edition of my novels, but I wasn’t sure about how to make that happen. I know that there is a huge audience of audiobook listeners out there and I wanted them to have the opportunity to meet my characters. When my editor/publisher, Todd Barselow, and Auspicious Apparatus Press approached me with the idea, I jumped on it. I’m quite excited about this new step on my writing journey. 2) BR: Describe the process behind how the narrator was finally chosen, how much oversight/control did you have with choosing the final narrator? GW: I loved the entire process. My editor/publisher advertised for narrator auditions for the recording of “Growing Up Dead.” Interested actors submitted digital sample readings from the novel. My editor and I listened to them all and discussed our thoughts. After a few weeks of multiple auditions and countless email correspondences, we selected Maxwell Zener. We both felt he would do a great job in bringing Mortimer’s world to life, and we were right. He did a superb job! I couldn’t be happier with the finished product. 3). BR: When you first heard the audio samples of the audio book, what was your initial reaction? GW: Honestly, it was a very emotional moment for me. Hearing my words, my story, being told by someone else was just thrilling. I loved it all. This might sound odd, but I remember thinking, “Wow, I wrote that. That’s my work. I’m a real writer.” I listened to sample chapters many times, and each time I heard Maxwell narrate Mortimer’s story, I was just amazed. It was a surreal experience. It still is. 4). BR: What does the audiobook adaptation add to your story, which cannot be replicated/emulated in the same way by the print edition of the story? GW: I think that the audiobook gives another level of depth to the story. The narrator does an excellent job of conveying the emotions of the characters. There a subtle changes in his voice that clearly express what’s going on. I think fans of the series will be very impressed. I know I was. 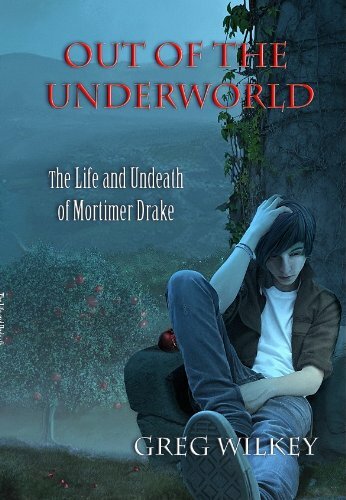 5) BR: What scenes in the future installments of the Mortimer Drake series are you most looking forward to seeing brought to life on the audiobook edition? 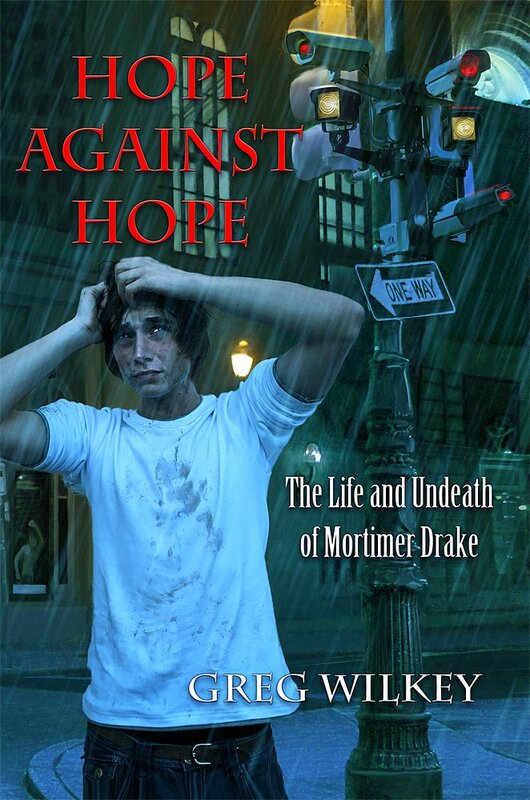 GW: Of all four Mortimer Drake books out, I have a special fondness for the third novel, “Hope Against Hope.” I had a blast creating that part of Mortimer’s story. I love the dystopian/supernatural elements in that book and I would love to hear it brought to life. I am hopeful that all of my YA novels will be available as audiobooks one day. 6). BR: Now that an audiobook adaptation has been created, are we closer, more now than ever, to getting Netflix to helm the production of a tv series for the Mortimer Drake series? GW:Oh, that is the dream. When I write, I imagine the story as a movie in my head. I simply observe and write what I see and hear happening. I would absolutely love to see Mortimer Drake as a TV series or even a graphic novel. Mortimer’s world is a very visual place. I am willing to pursue that project at any time. 7). BR: What is your current writing project? GW:I’m working on three projects at the moment. I am nearing completion of book two in my Edgar Flax Neither Nor series. The first novel in that series, “Death Runs in the Family,” is out and doing well. I hope to have the second book finished by the end of May. I am also working on a fifth book for my Mortimer Drake series. I had originally thought his story was complete after the fourth novel, “Star Blood,” was published. I was wrong. Mortimer began to talk to me again and he just isn’t finished yet. I am excited to be back in his world again. I missed him. I have also started research for my first adult novel. I am not sure how this project will turn out, but it’s a lot of fun to stretch myself as a writer. I like to keep busy. I love to create. I have to tell stories. 8) BR: Do you have a message for all the enthusiastic fans of the Mortimer Drake series, as well as the devoted readers of A Bibliophile’s Reverie? GW: I just want to say thank you for all the wonderful support and encouragement that many of you have shown me. Indie authors depend on word of mouth and referrals. Readers of indie novels are the best when it comes to that. I, too, read and support many independently published writers. I truly respect and admire any writer that chooses to work hard and follow their dreams. I encourage all writers to stay strong and keep pushing. It’s all about persistence. It’s all about telling great stories. Thanks again to Greg Wilkey, author of the “Mortimer Drake” books for participating in this interview!! Tomorrow, I’ll be posting an interview with the audiobook narrator himself, Maxwell Zenner!